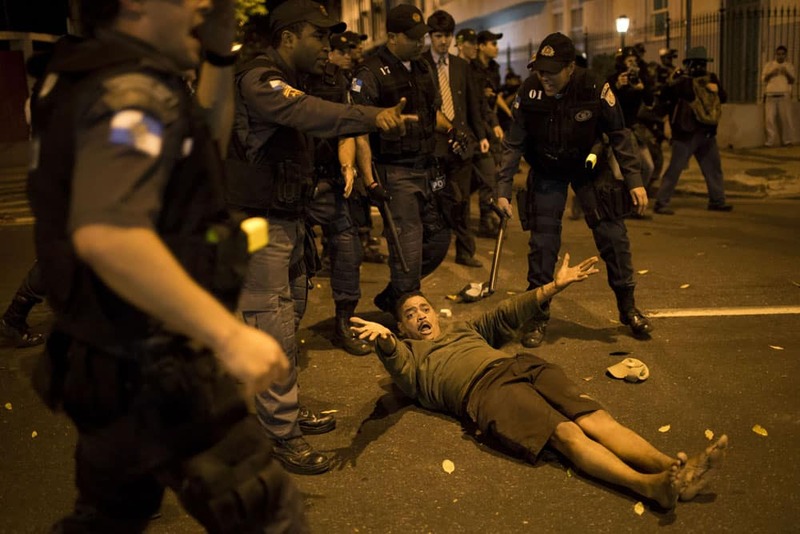 A man complains about being hit by police after falling to the ground during a protest near Guanabara Palace, the office of Rio de Janeiro Governor Sergio Cabral in Rio de Janeiro. 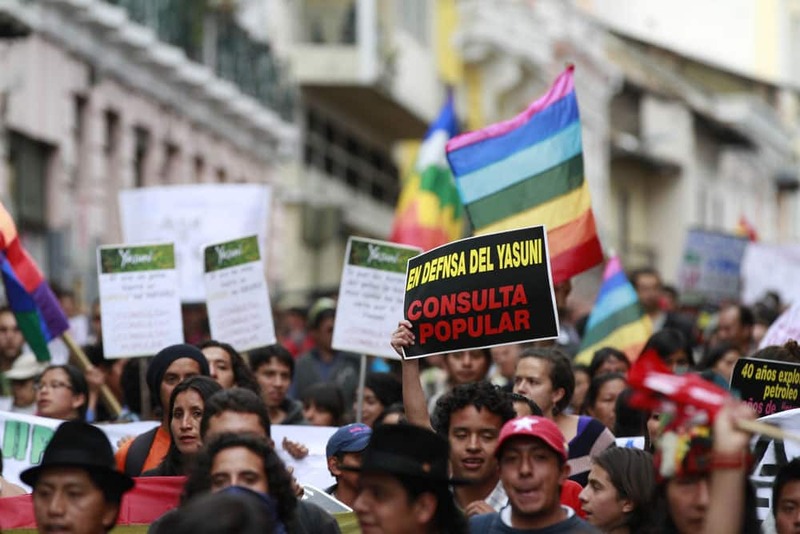 People demonstrate against the government`s decision to allow oil drilling in the Yasuni National Park, a rainforest amazon preserve, in Quito, Ecuador. 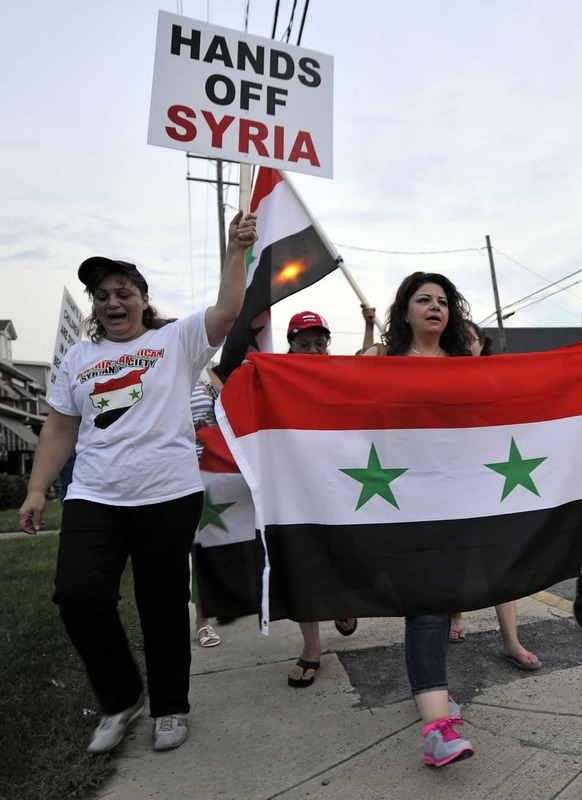 Members of the local Syrian community rally against the United States` involvement in Syria. 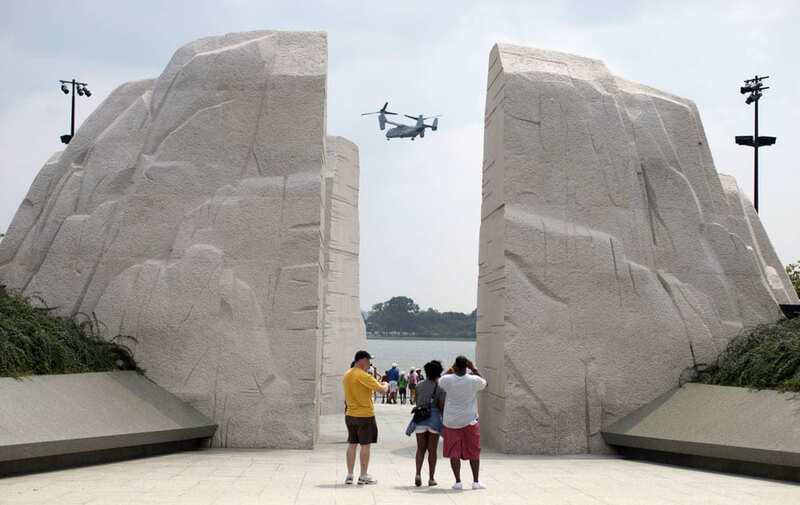 A Osprey military helicopter flies by the Martin Luther King Jr. Memorial in Washington. 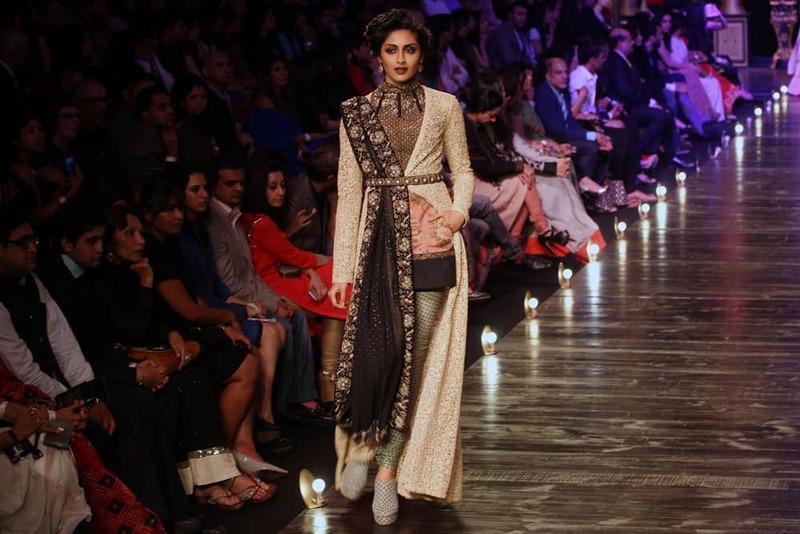 Model displays a creation by Sabyasachi during grand finale of the Lakme Fashion week in Mumbai. 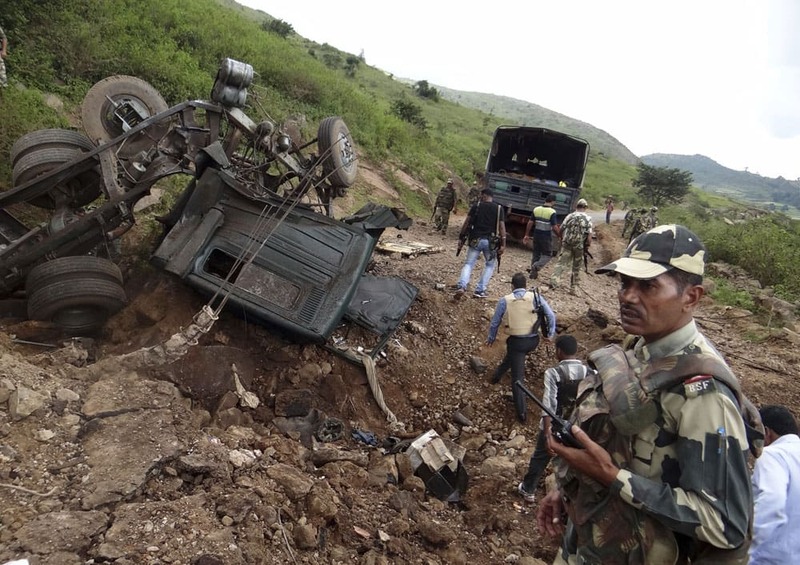 Indian paramilitary soldiers stand near their damaged vehicle after Maoist rebels ambushed their patrol at Koraput district in Odisha state. President Barack Obama looks at US Army Staff Sgt. 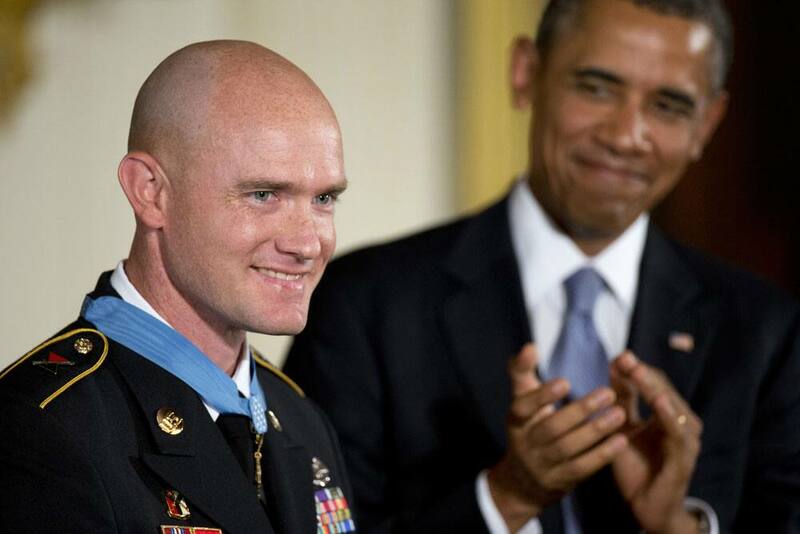 Ty M. Carter and applauds after awarding him the Medal of Honor for conspicuous gallantry, during a ceremony in the East Room of the White House in Washington. 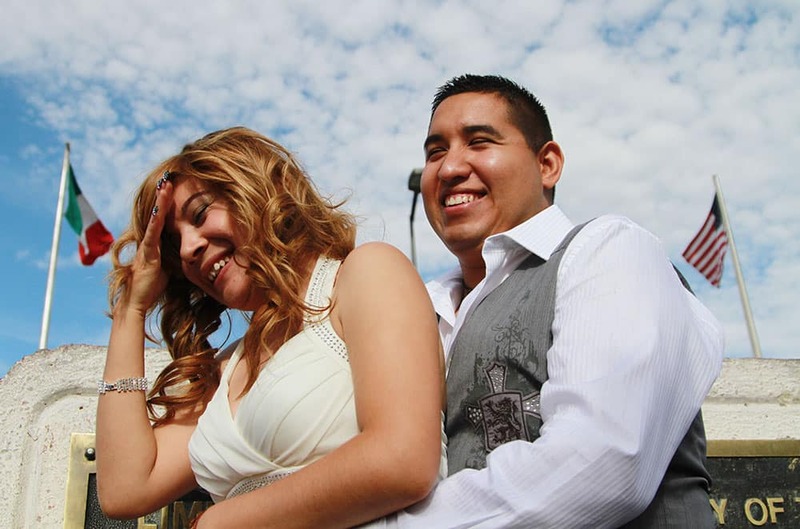 US citizen Edgar Falcon hugs Maricruz Valtierra of Mexico at the US-Mexico border where they were married in El Paso, Texas. 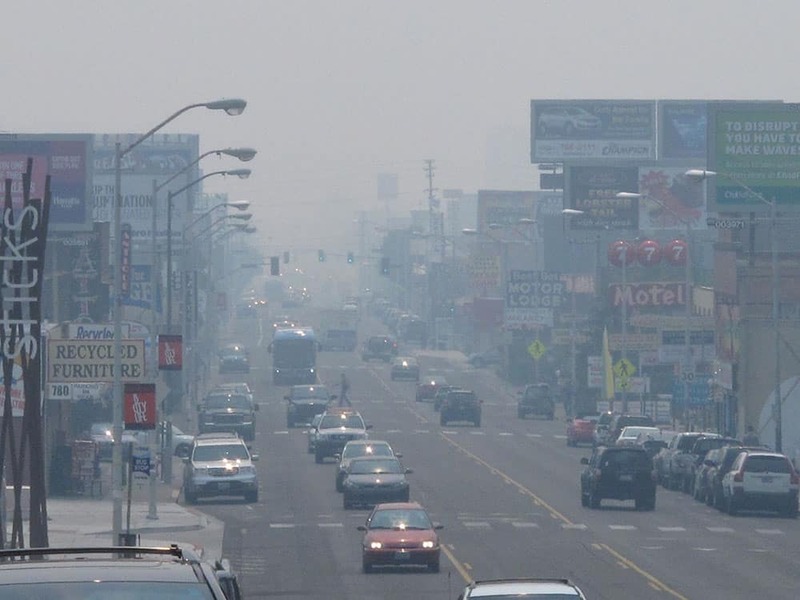 A smoky haze from a huge California wildfire burning more than 150 miles away hangs over Virginia Street in Reno, Nev.
Sgt. 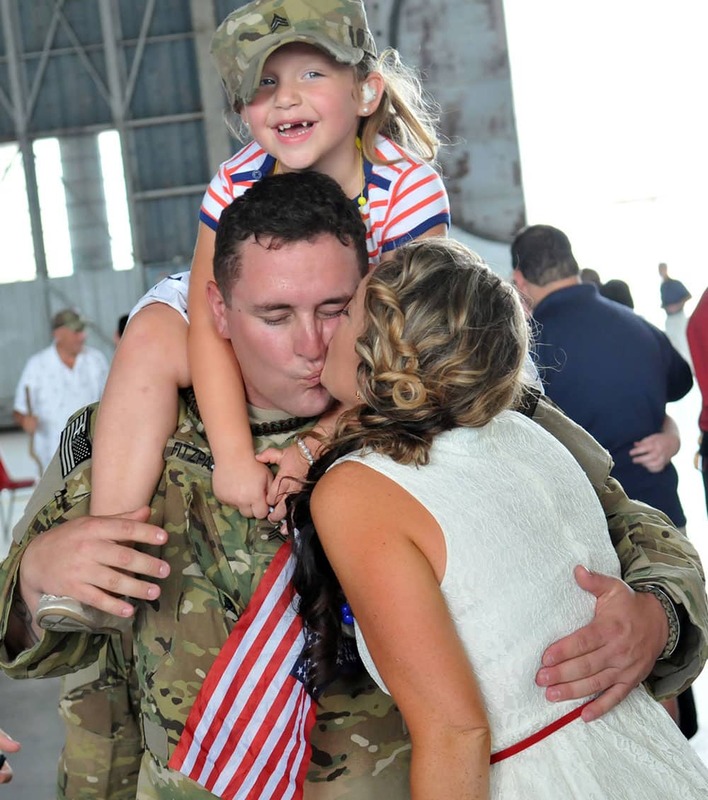 Nathan Fitzpatrick gets a kiss from his wife Laura as his daughter Jaycee rides on his shoulders following a homecoming ceremony for the 3rd Combat Aviation Brigade, 3rd Infantry Division at Hunter Army Airfield, in Savannah, Ga.
Belarus`s Victoria Azarenka returns a shot to Germany`s Dinah Pfizenmaier during the first round of the US Open tennis tournament. 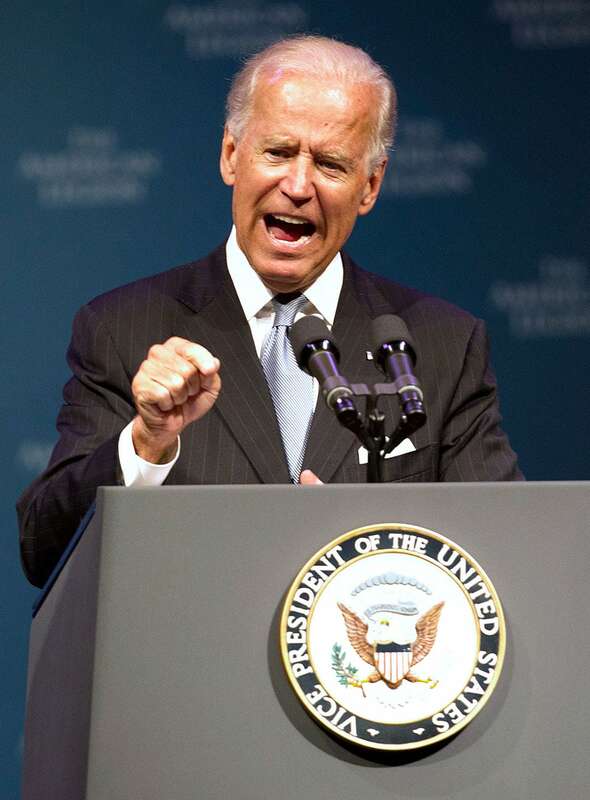 Vice President Joe Biden speaks during The American Legion`s annual convention at the George R. Brown Convention Center in Houston. 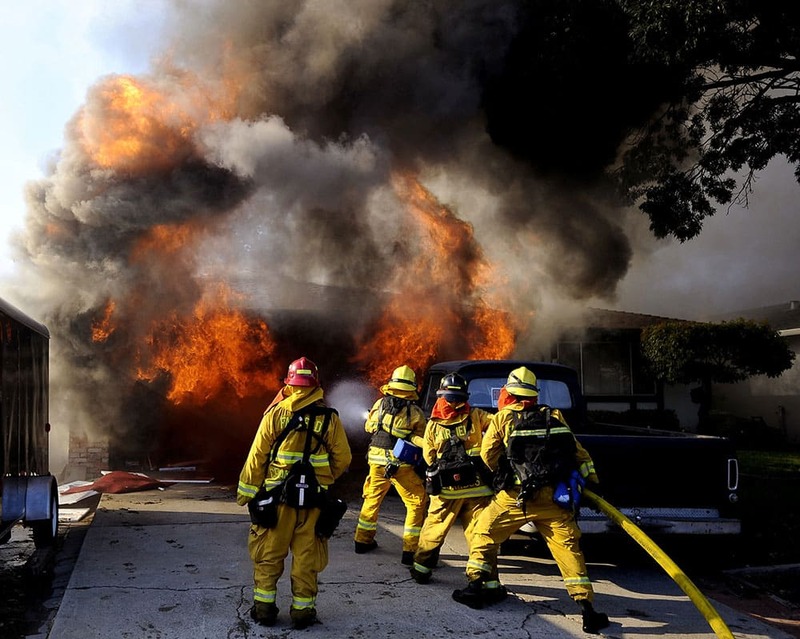 Fairfield, Calif. firefighters attack a the fully involved garage of a home in the 2900 block of Marigold Dr. in Fairfield. 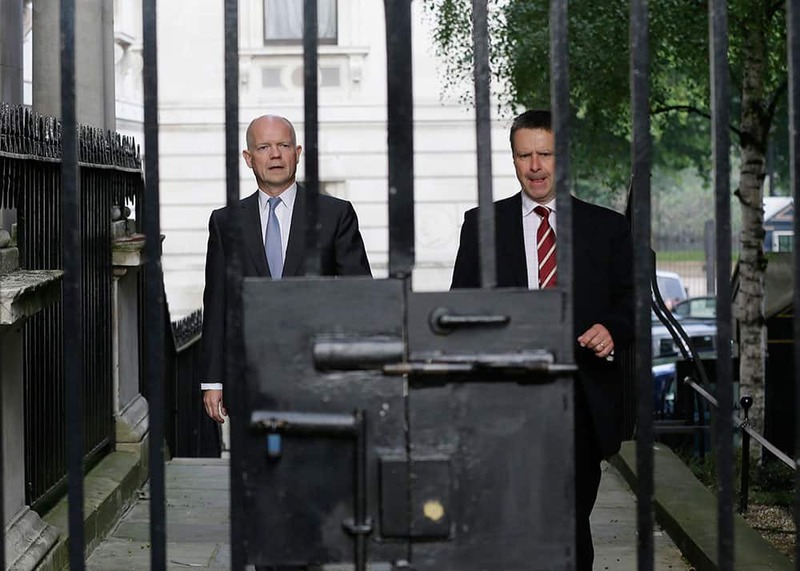 Britain` Foreign Secretary William Hague walks with his security officer to Downing Street ahead of a national security meeting to be held at the Cabinet office with Prime Minister David Cameron on the situation in Syria, in London. 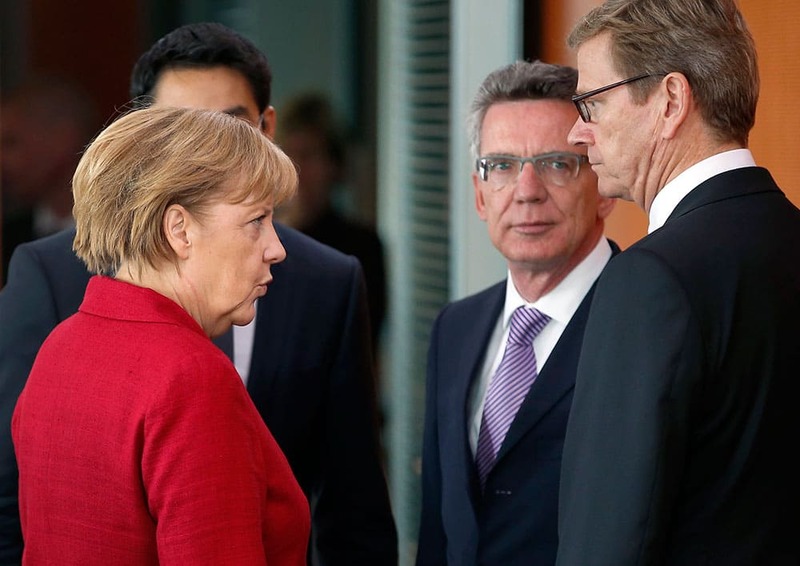 German Chancellor Angela Merkel, left, talks to German Defense Minister Thomas de Maiziere, second right, and German Foreign Minister Guido Westerwelle, right, as she arrives for the weekly cabinet meeting at the chancellery in Berlin, Germany. 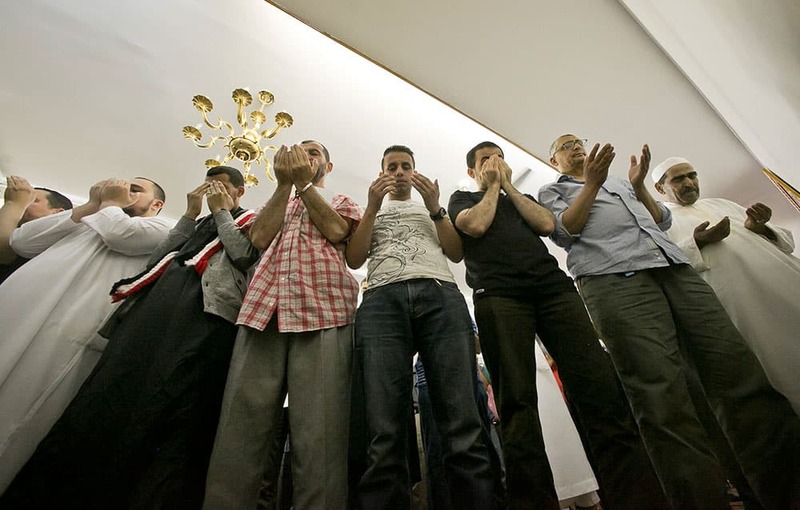 Members of a Muslim congregation pray during a Jumu`ah prayer service at the Islamic Society of Bay Ridge mosque on Friday, Aug. 16, 2013 in the Brooklyn borough of New York. 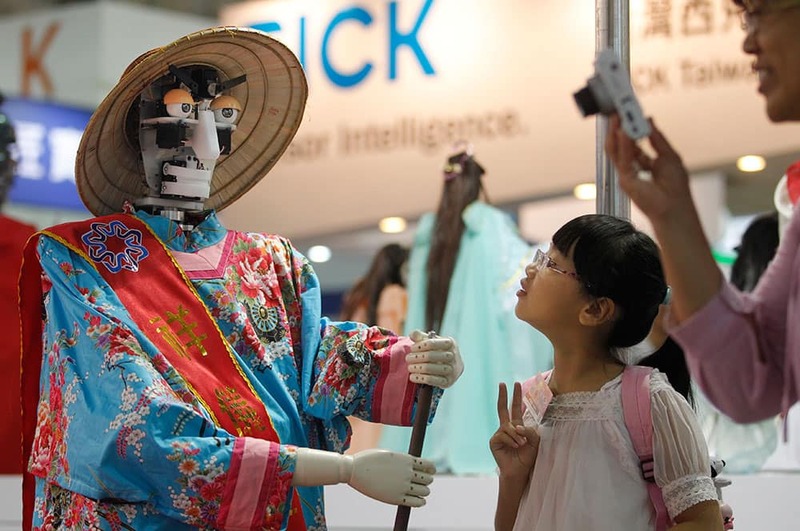 A young visitor watches a robot stir a pot of food during the Taipei International Robot Show in Taipei, Taiwan. The show will run from Aug. 28-31. 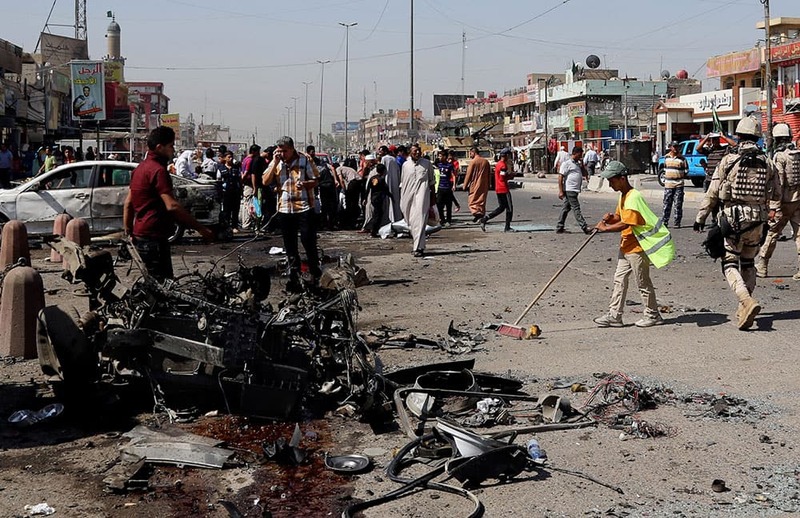 A Baghdad municipality worker cleans, while people and security forces inspect the site of a car bomb attack in Sadr City, Baghdad, Iraq. 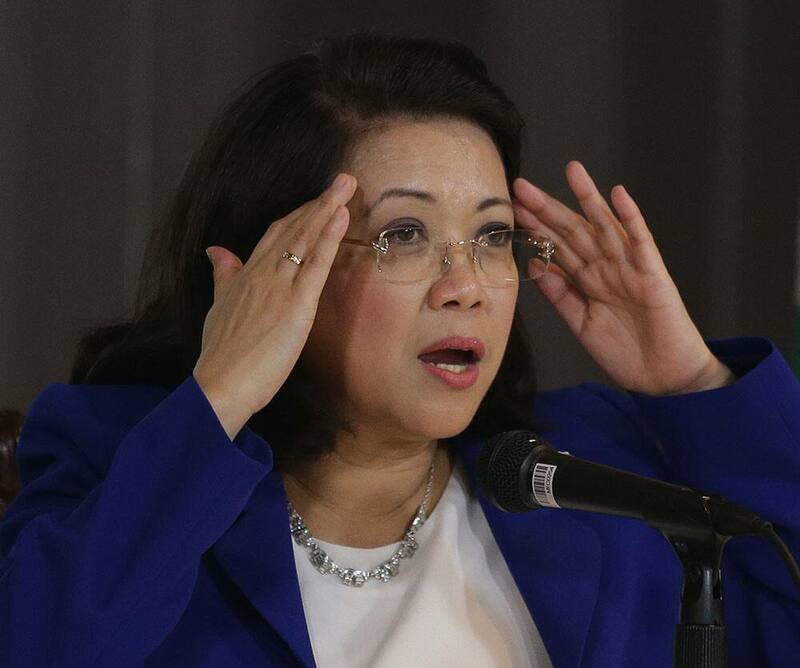 Philippine Chief Justice María Lourdes Sereno gestures during a rare press conference in Manila, Philippines. Students of St. Scholastica`s College, a Catholic school, shout slogans and flash thumbs down signs during a "noise barrage" protest outside their campus in Manila, Philippines. 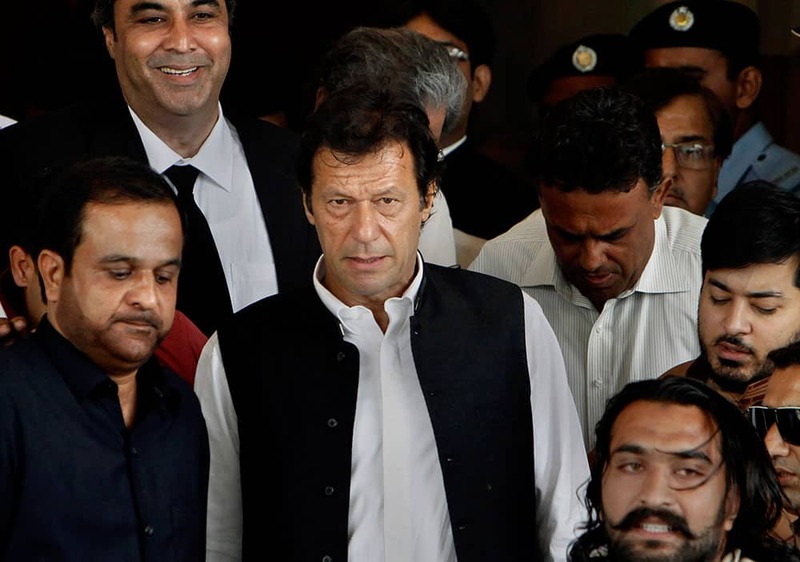 Cricketer-turned-politician and head of Pakistan Tehree-e-Insaf or Moment for Justice Imran Khan, center, leaves the Supreme Court after his case hearing in Islamabad, Pakistan. 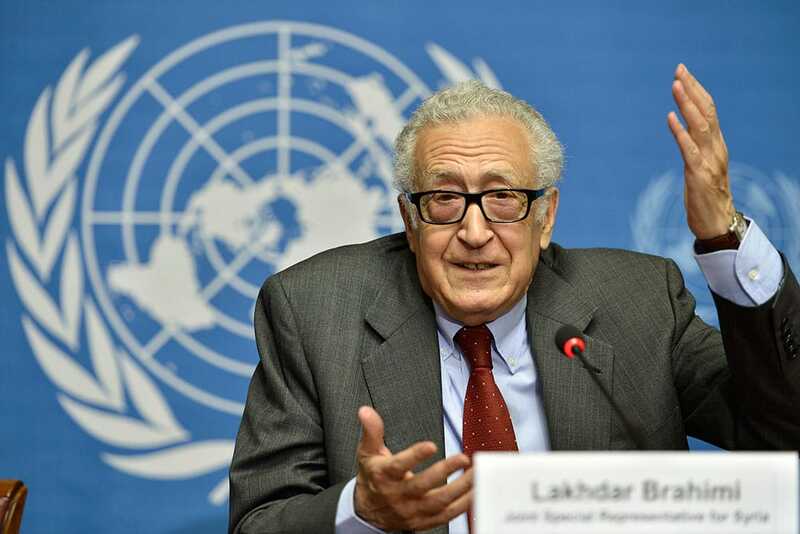 The UN Joint Special Representative for Syria Lakhdar Brahimi speaks on developments related to Syria during a press conference at the European headquarters of the United Nations in Geneva, Switzerland. 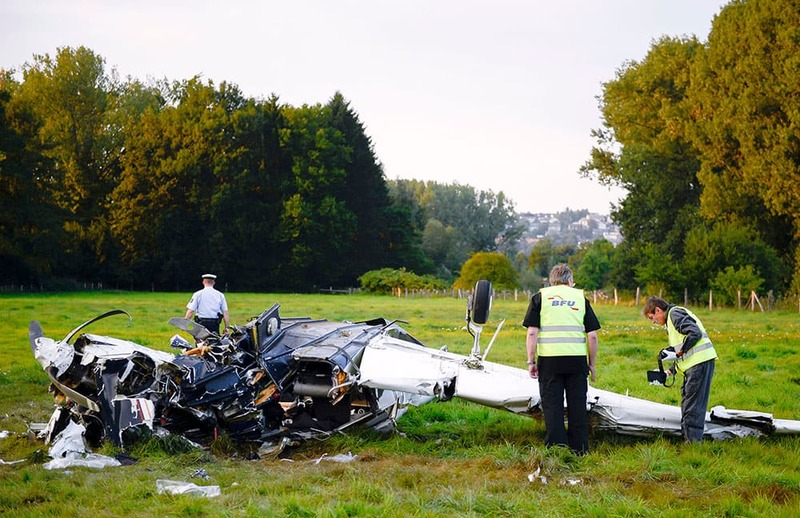 Police officers and firefighters secure the scene of a small plane crash on a field near Froendenberg, north western Germany. Authorities say four adults and one child were killed in the crash and three other children were injured. 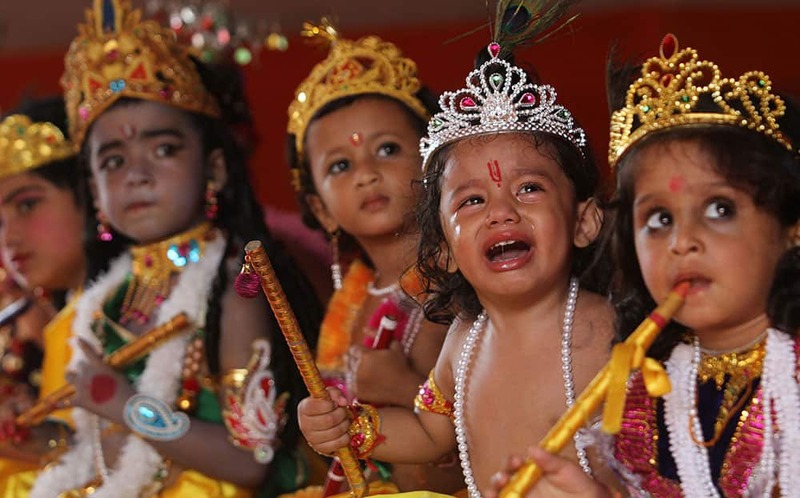 Children dressed as Hindu God Krishna participate in a function during the Janmashtami festival celebrations in Gauhati, India. Bollywood actress Kareena Kapoor arrives for a promotional event for her upcoming movie "Satyagraha" in New Delhi. 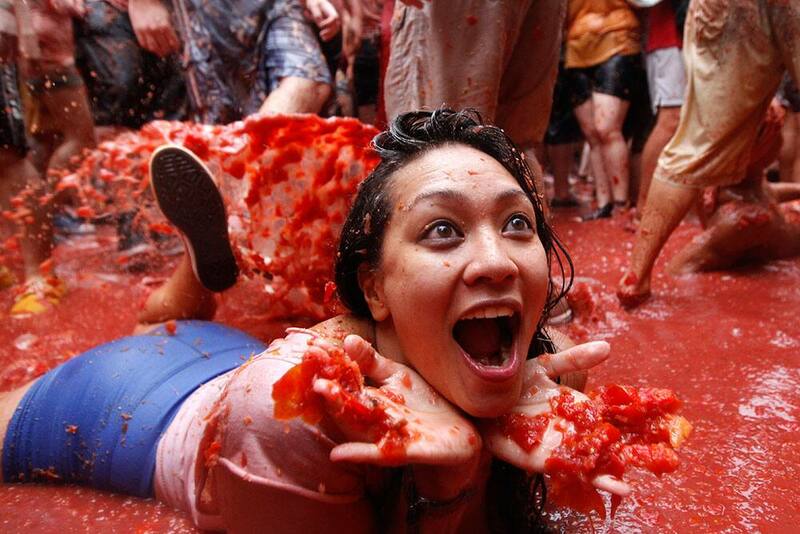 A woman lays on a puddle of tomato juice during the annual "tomatina" tomato fight fiesta in the village of Bunol, 50 kilometers outside Valencia, Spain. 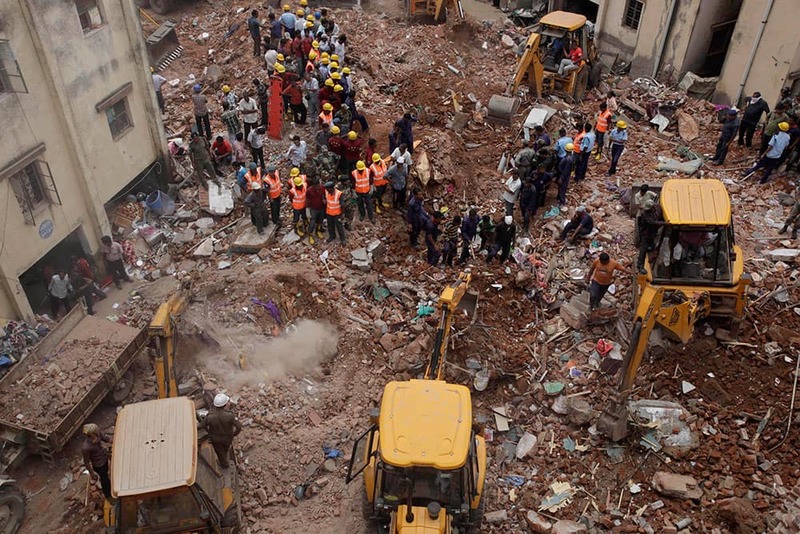 Rescuers use machinery to remove the debris after two adjacent apartment buildings collapsed at Vadodara in Gujarat state, India.